Our theme this week was the Earth, Earthquakes and Rocks. We had so many ideas, I’ve separated them into two posts. This one is on Rocks, click for ideas for Earth Science and Earthquakes. One of the key skills we need to build in a young scientist is observation – learning how to look at an object in depth, describe it, and sort it by multiple criteria. Rocks are a great opportunity for this. 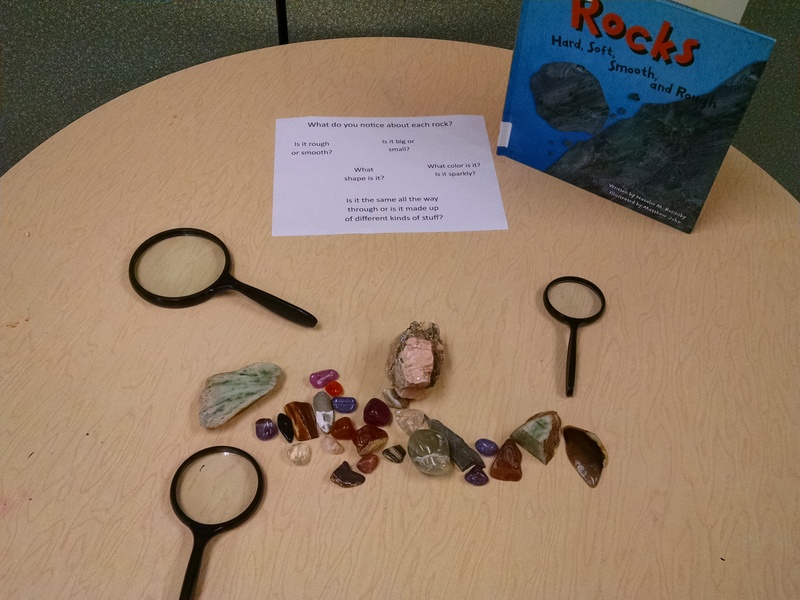 We put out a collection of rocks, magnifying glasses, and a book to help them learn more: We used Rocks by Rosinsky (see below for more info). The older kids were actively using the book as a resource for their exploration – especially the chart at the end of the book. Other things you could add to this station: a sensitive digital scale to weigh the rocks, a tape measure, a copy of the MOHS hardness scale, a nail to see if you can scratch the rock, a streak board or a test plate to see if rock will scratch it. A worksheet for tracking observations and illustrating the rock. An identification guide, or a laptop with an interactive tool, such as this. 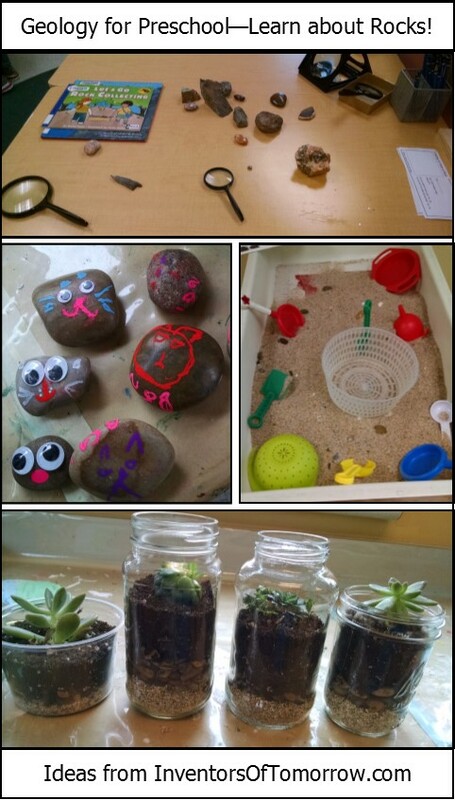 Kids can interact with the rock station in lots of ways: they can just look at rocks, or can fill out worksheets, including doing nail test and scratch test. Or they can sort into categories: sort by size, then mix back together, then sort by color, then put in order smallest to biggest and so on. 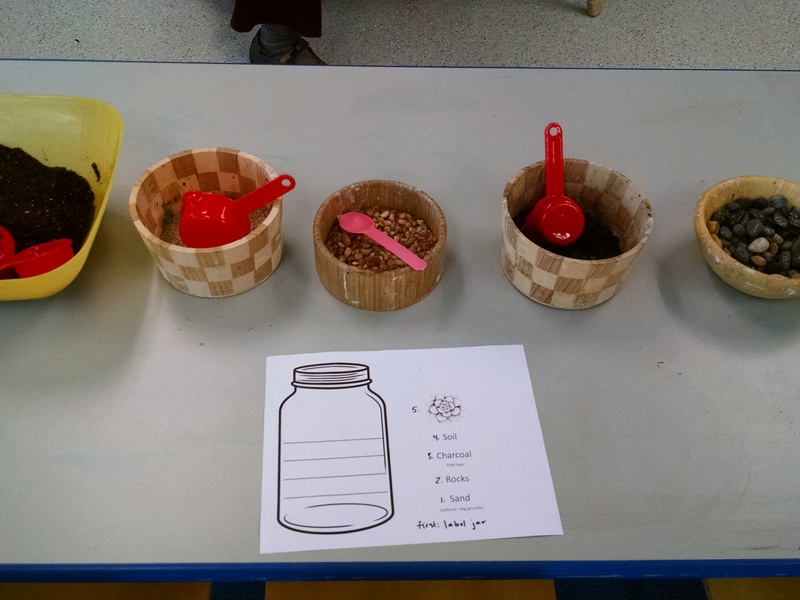 Read a really nice description of this process at Rhythms of Play. Can look at identification guide to figure out what rock it is. 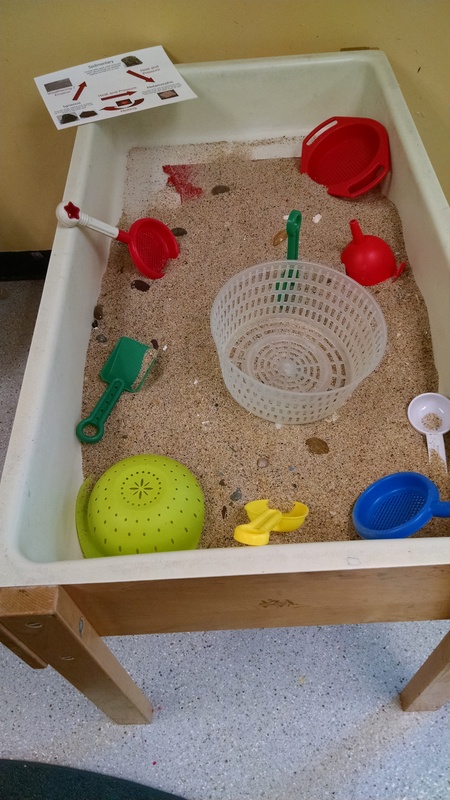 In the sensory table, we put sand, then tossed in some pebbles and bigger rocks, then added scoops and sifters. They could fill the sifter with sand, shake it till all the sand fell out, and see the pebbles and rocks. I’d LOVE to have a Kodo Kids Sift and Sort, but I’m hoping to make a DIY version next year with three levels of racks: a cooling rack on top, then a wide mesh, then thin mesh. If you have coin sorter trays, those might work? As well as being a fun process, this also produces a nice product – worthy of gift giving, so you could choose to do this project right before a holiday and make them as gifts. 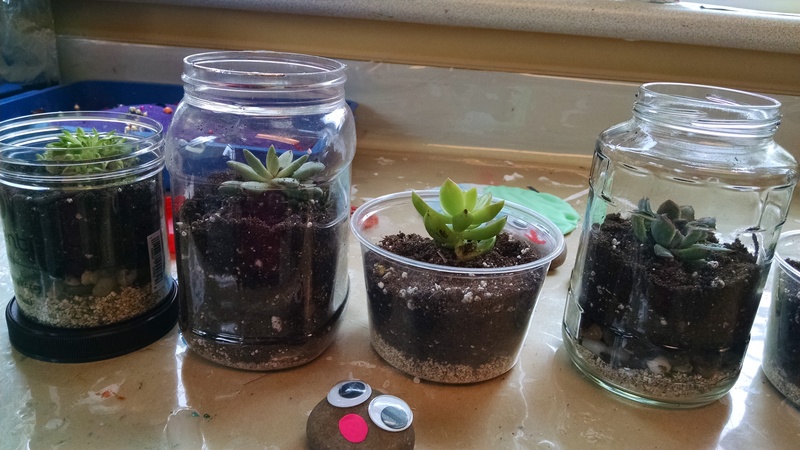 We set it up assembly line style, where kids went down the line, and put in first sand (this is an optional layer – it’s an inexpensive way to fill a little space at the bottom of the jar), then rocks and pebbles (important for drainage), then charcoal (to reduce odors and mold), then cactus soil, then the plant. (We used cacti and succulents.) When you remove the plant from its little pot, you do need to shake off some of the extra soil to expose the roots and make it easier to nest down into your soil. You should pack plenty of soil in a little around the plant, or water it to compress it a bit – otherwise, the first time they water it at home, the soil compresses and leaves the plant poking up out of it a bit. Note: This project is more expensive to do than most of the projects I discuss on this site. (Especially if you buy all the products at a specialty garden store two days before the class, which I mistakenly did my first year.) As an FYI, here’s the products / quantities we used to make 20 terrariums. 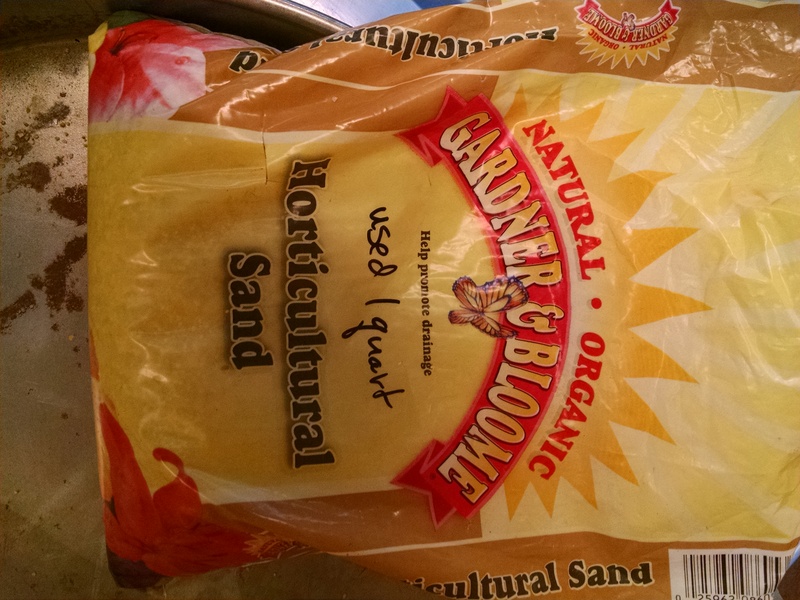 Horticultural Sand – 1 quart ~ $6. (If you have clean play sand, that may be a cheaper option.) 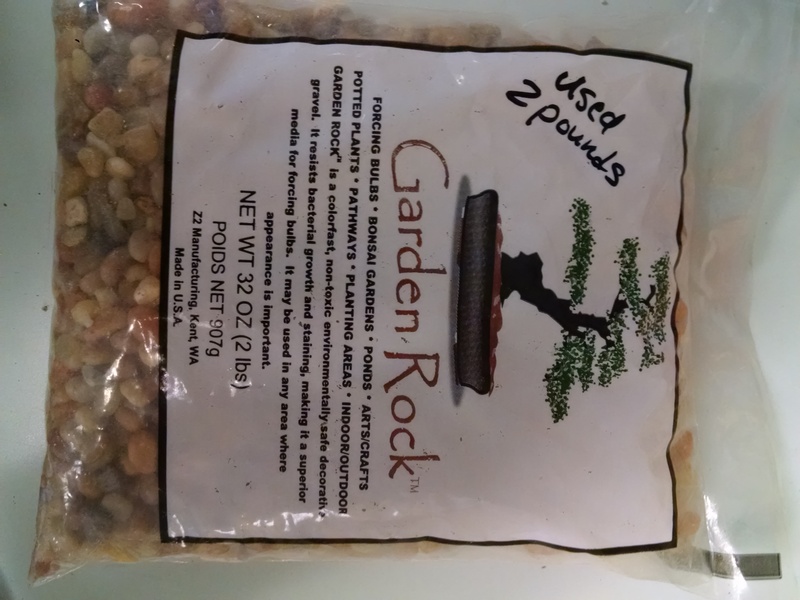 Decorative garden rocks – 2 pounds of pebbles, 1 quart of larger rocks ~ $9 on Amazon, cheaper craft rocks at Michael’s. (Again, you could probably “wild gather” your rocks, but you’d want to clean them so the terrarium is a pretty clean system.) 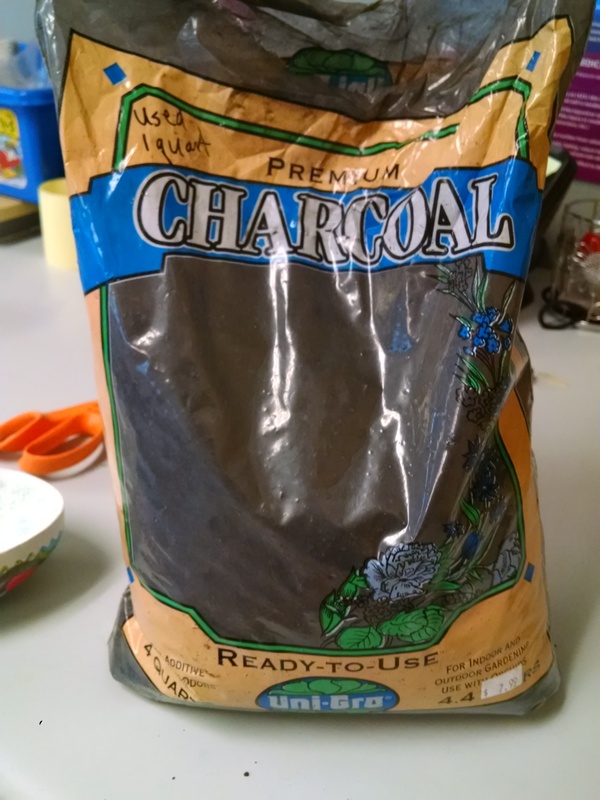 Horticultural Charcoal – 1 quart – $10. 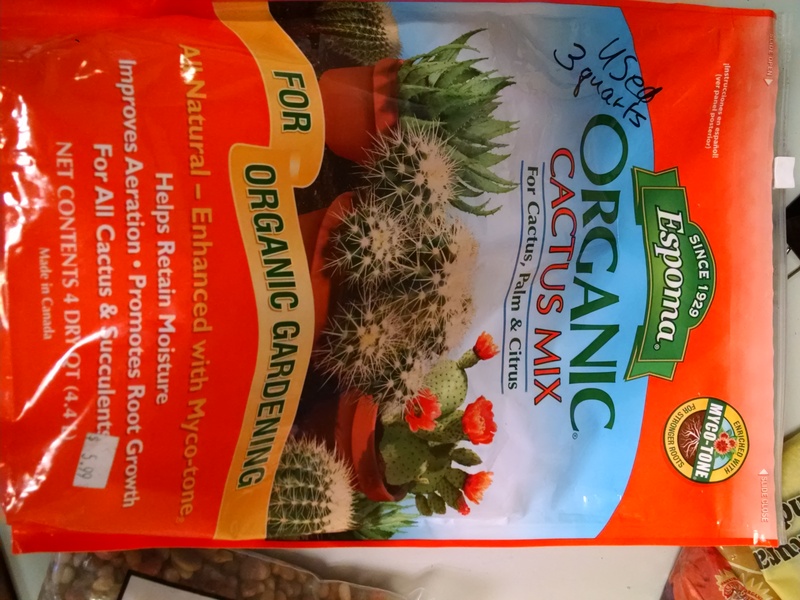 Cactus Soil – 3 quarts ~ $9. (Note: those are approximate costs you’ll pay in a store – if you buy from Amazon, you may have additional shipping costs.) Succulents – $37. (The $37 is if you order a week in advance from Amazon – I paid $60 buying them at the garden store just before the event.) So, it works out to $4.50 or more per kid. Gather some nice round rocks that are around the size of a child’s fist. Put out with Chalk Markers if you want markers the child can wash off their hands and clothes or paint markers if you want the paint on the rock to be waterproof – the chalk marker will wash off it left in the rain, glue, googly eyes, and other décor items of your choice – pipe cleaners, feathers, jewels, pompoms, etc. 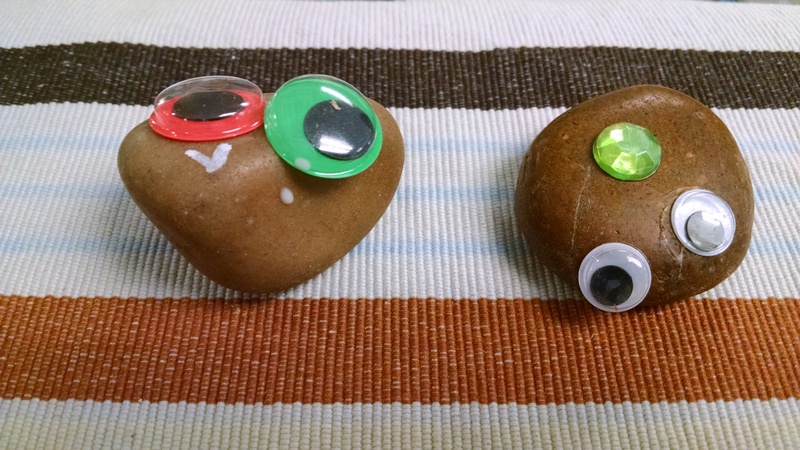 You could also make nests for your pet rock with various craft materials or recyclable items. Have a collection of rocks that show sedimentary layers, conglomerate rocks, metamorphic rocks, and igneous rocks. Try to find examples that look as similar to the Starburst (SB) Demo as possible, like those in the picture below. Also, have a picture of molten lava. Show the kids the layered rock. 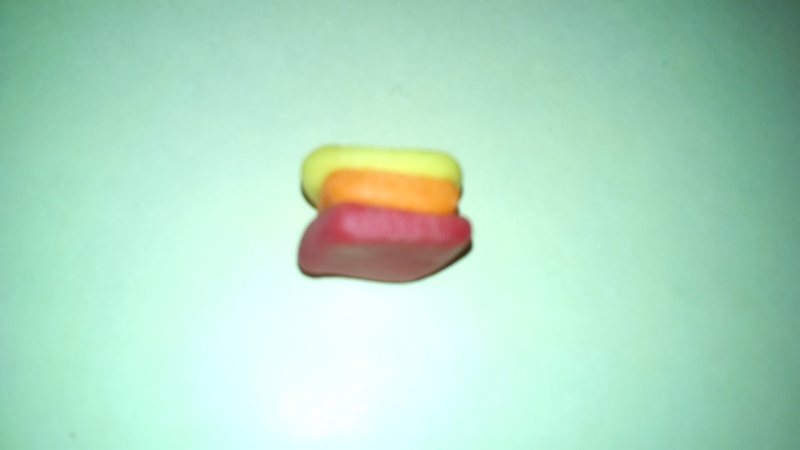 Then stack three Starburst (SB) in layers – squash together into a sedimentary rock. Then show them a conglomerate rock – then tear up the SB and wad them into a ball. Show them the metamorphic rock – explain that you’ll apply heat and pressure to make a metamorphic rock (i.e. 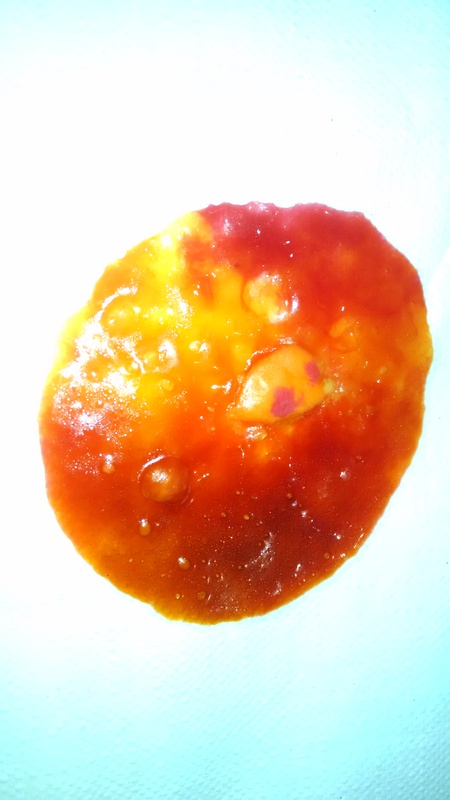 you’ll roll the SB candy in your hand to form a smooth ball) Then show them the picture of molten lava. 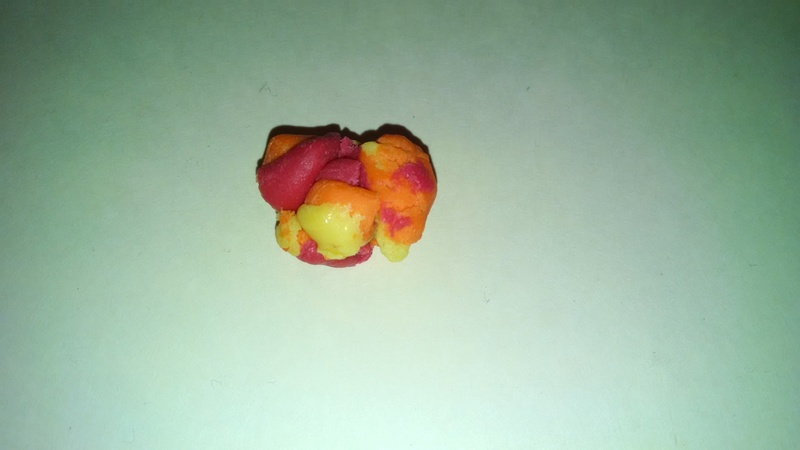 Put the candy on a napkin and microwave it for about 30 seconds till it’s molten. Show it to them. (Warn them that it’s too hot to touch!!) As it cools, show them the igneous rock. Once the candy has completely cooled, it becomes hard and brittle. 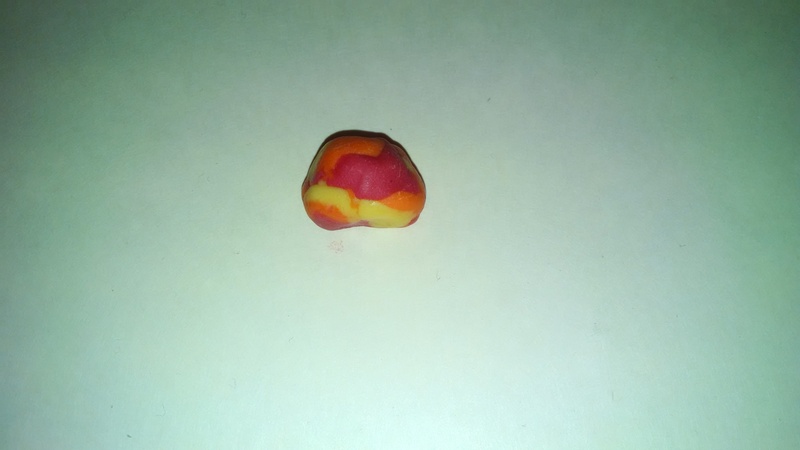 After you’ve done the demo, make sure they’ve all got clean hands, then give them all 3 candies, and let them do the sedimentary, conglomerate and metamorphic levels for themselves. Then they can eat it. (I didn’t melt their candies.) Note: I thought this demo would make your hands terribly sticky with sugar, but they weren’t sticky at all when I finished it. What is soil made of? Dig up some dirt. Empty a cup of it on white paper. Look closely at it with a magnifying glass. 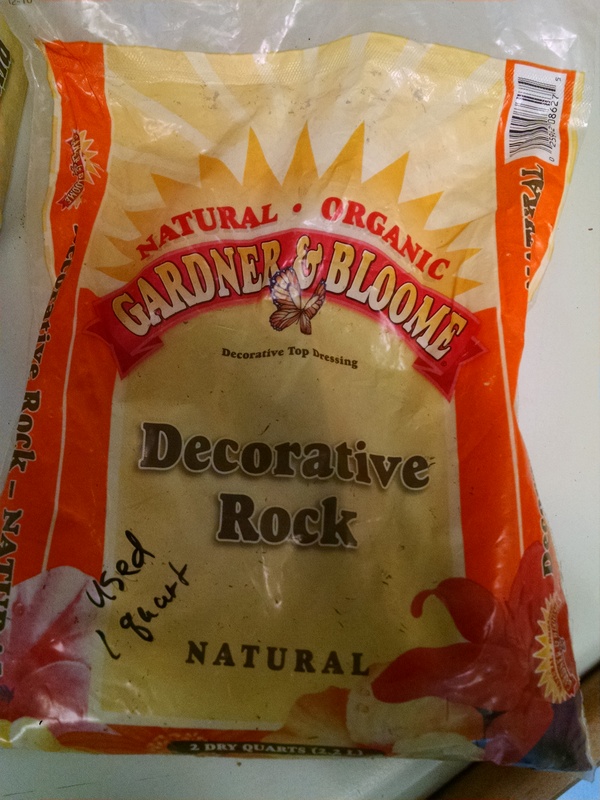 Separate types of items (rocks and stones from plant matter from bugs.) 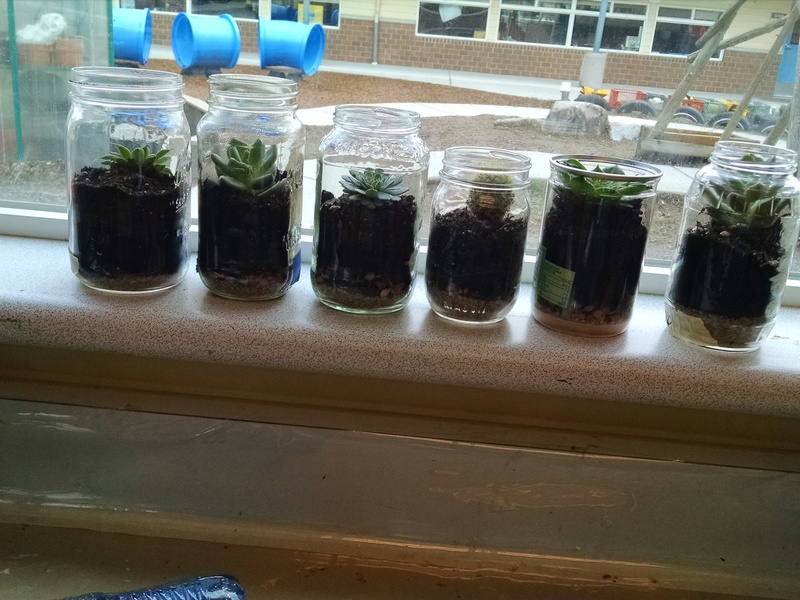 Place 2 inches of soil in a jar. Describe it. Add water till jar is 3/4 full. Shake for 30 seconds. After an hour, examine with a magnifying glass. Describe. How do rocks become soil? Collect 10 different kinds of rock. Put in a metal container with a lid. Add water to cover. Shake 1000 times (get 9 friends to help so you each just shake 100 times. Then take the rocks out of the water. Pour the water through a coffee filter. What do you observe in the filter? Are dead plants in soil? Put leaves and grass in a mesh bag. Tie a string to it. Bury it ten inches deep, leaving the string above ground. Mark where you buried it. Once a week for a month, dig up the bag, examine its contents. Then pour a cup of water in the hole and re-bury it. What type of soil holds water best / is best for plants? Get 3 – 4 types of soil, such as potting soil, soil from a garden where plants are growing, soil from an area where plants don’t grow, potting soil mixed with sand. Put in flowerpots with holes in the bottom, set pots in a bowl, and pour a cup of water over each. After 30 minutes, check the bowls, and measure how much water is in the bowl – then subtract that from 1 cup to determine how much water the soil retained. Which soil holds water best? Now plant 2 bean seeds in each pot. Put near a sunny window, and water as needed. Predict which will grow plants best, and track your results. Rhythm Activity: We always start circle with a rhythm activity of some sort. Not only is rhythm a good brain-building musical-skill-building activity, it also serves to gather all the kids’ attention, and get them all focused on the teacher before starting circle. Today, we taught the rhythm for Queen’s “We Will Rock You.” (Clap thighs twice, clap hands once.) We played the music from this video about the rock cycle and clapped along. Rhythm Activity: We reminded them of our “We Will Rock You” rhythm, but had them try it standing, where they go stomp-stomp-clap. This time we played a different song about the rock cycle: www.youtube.com/watch?v=r68iEwYdbh4. Note: there are two other (written) versions of lyrics for a rock cycle song set to this music. They can be found on Beakers and Bumble Bees, and on the National Park Service website. 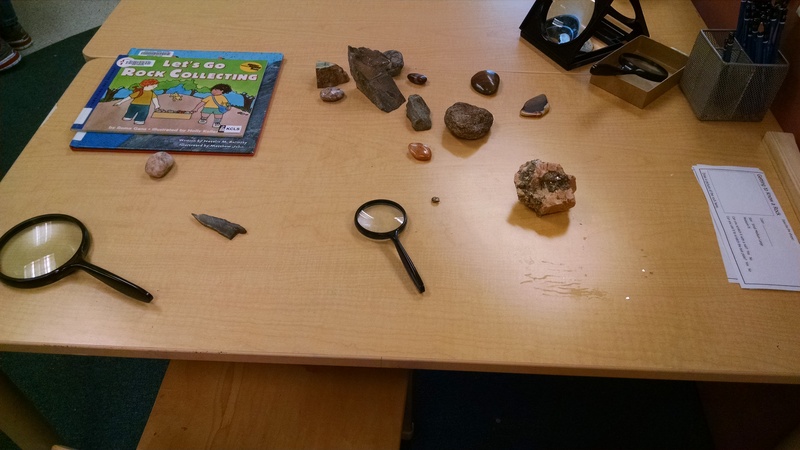 Rock Exploration: We brought in the rocks from the exploration table, and discussed as a group their colors, we found the biggest and smallest ones, we picked out all the rough ones from the smooth ones, and so on. This is great pre-academic skill building. 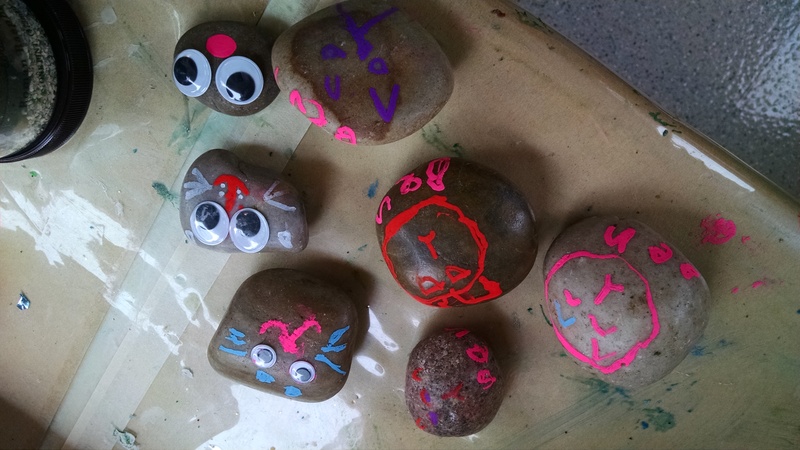 Another activity you could add here is to ask each child to pick out one rock to study in detail and talk over with their parent or another child. Then put all those rocks into a basket of rocks, pour it out on the floor, and ask them to find their own rock again. This is a good test of their observation skills, and teaches visual discernment of details. Geode: We purchased Geodes. We showed them the “boring rocks”. Then we wrapped a rock in a washcloth (warning, it will shred your washcloth!) and banged it with a hammer to break it open. Some of the geodes took three good whacks to break them open. A few took LOTS of hammering, and broke into small bits. One would not break open (it’s likely solid crystals on the inside.) Here’s the pieces of geodes from our set. Let’s Go Rock Collecting by Gans. Age 6 – 8. Describes rock collecting, types of rocks, differences between rocks, some historical uses of rock (Roman roads, Egyptian pyramids). Includes both illustrations of kids exploring rocks, and photographs of many types of rocks. Dave’s Down-to-Earth Rock Shop by Murphy. This has been recommended to me by a geology professor mom, but I haven’t read it yet. It’s for ages 6 – 10. 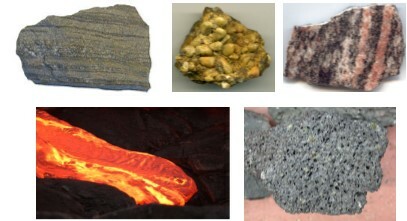 It includes info about rocks, and also focuses on classification, which is a key science skill. Rocks by Nelson. A nice intro to rocks for 3 – 5 year olds, with simple words and good photos. “We live on Earth. Earth is made of different things. Earth is made of water, gases, soil, and rocks. Most of earth is made of rock. Rocks are hard. 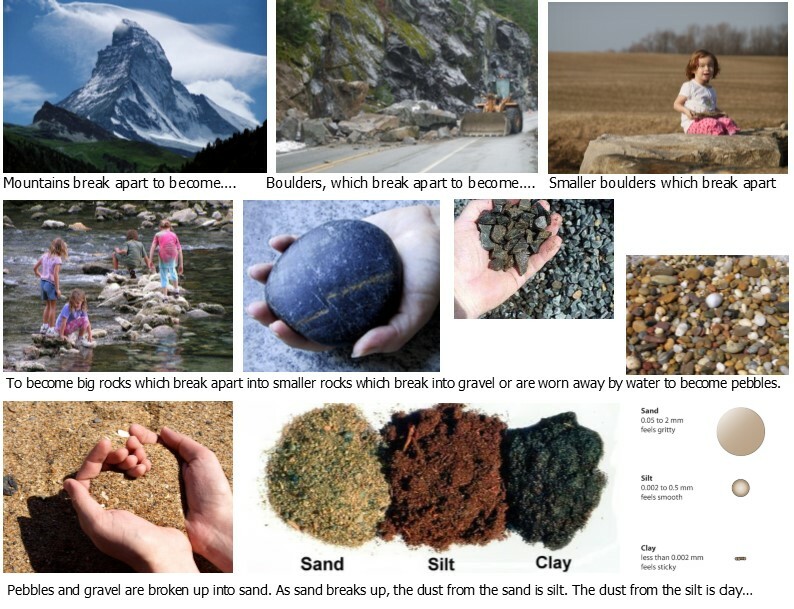 Rocks can be different sizes… shapes… colors….” Ends with a page about igneous, sedimentary, and metamorphic rocks and some rock facts for little ones who want to learn more after reading the main book. Rocks by Walker. For 6 – 9 year olds, so above the level of our students. But parents and teachers might like reading it before teaching these topics, because it’s a good basic overview that’s one level above what they’ll be teaching. The Rock Factory: The Story About the Rock Cycle by Bailey. I haven’t read it yet, but I liked Bailey’s Fossil book which we used in Dinosaur week. Jump into Science: Dirt by Tomecek. Good for 6 – 9 year olds, so too old for my students. Talks both about the geology side: earth’s layers, rock cycle, and so on. Also talks a lot about plants and soil, so would be a nice part of a gardening unit. Dirt: The Scoop on Soil by Rosinsky. Rosinsky’s book on Rocks is great, so I look forward to checking out her take on dirt. Dirt by Lawrence. From the Fundamental Experiments series. Writing is best for 6 and up, but includes lots of fun, easy experiments, some of which I reference above. Other good online resources on rocks for older kids are: School Yard Geology and Every Pebble Tells a Story. For a good 3 minute overview of the rock cycle for 5 – 7 year olds, check out this video. For a 25 minute episode, check out Bill Nye on Rocks and Soil.